Posted on February 22, 2015 by Swathi Bhat wrote in Affordable, colored khols, eyes, Kajal, Maybelline, under 300, Under 500. It has 0 Comment. What happens when your favourite brand has given their new launch ad in the newspaper and not anywhere else? 3. Your parents have a smirk on their face when you finally get the product. All these happened with me in one day..lol . Mum showed me the ad in the newspaper, next thing I knew I had to get these. First impression: Pretty shades, comes in the twist up type packaging, travel friendly, goes on smoothly, no tugging, no irritation to the eyes, smudge proof, waterproof but lacks in pigmentation department. One more thing, the Lakme colored kajals have some black element in them where as these are on the shiny side, no black undertone to them. I prefer Kohls/Kajals which are not insanely pigmented for summers . Less pigment means no Panda eyes. I applied Jade and Emerald yesterday, could not see much difference but then it was night. 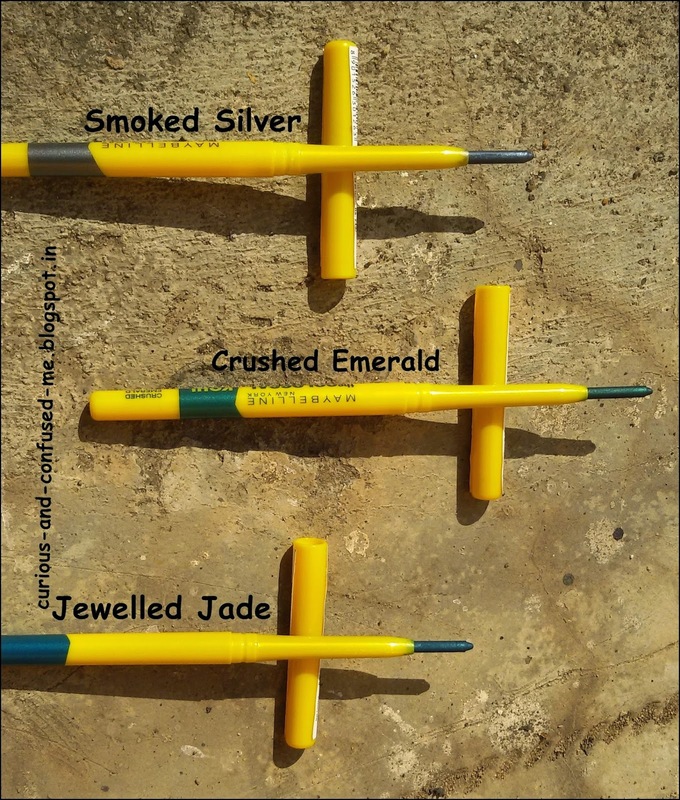 I did not have any Jade, Emerald Kajals with me and these were affordable so I got them. 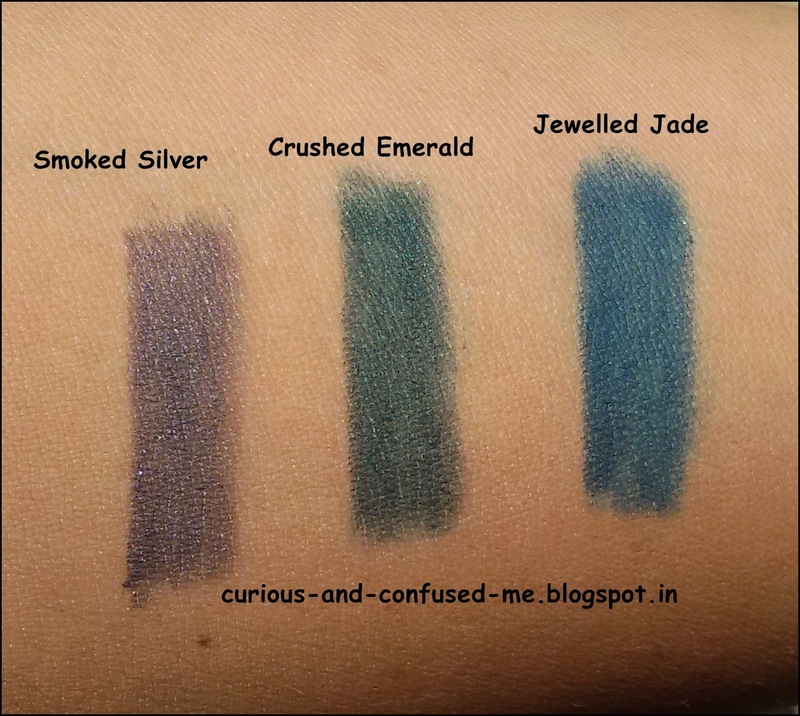 If you don’t want coloured Kajal and want some twist in the daily routine check out “Smoked Silver” . It has that sheen, which brightens up the eye without being too harsh. The rest 2 shades are equally pretty, but nothing different. I see myself using these in coming summer a lot. 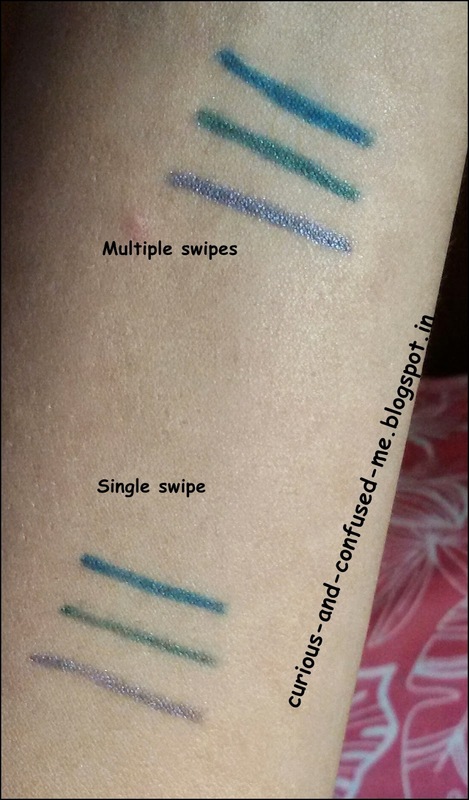 Even though these lack pigmentation and needs multiple swipes, do check them out. These Khol/Kajals add some fun to eyes without breaking the bank. LA Girl Pro HD concealer : Worth all the hype? ?